Kate is suffering from a rare disease; she cannot bear sunlight. But then she meets handsome Charlie. Midnight Sun is directed by Scott Speer and was released on Mar 23rd, 2018. 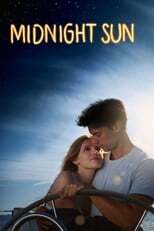 Director Scott Speer's Romance & Drama movie Midnight Sun is produced by Boies/Schiller Film Group & Wrigley Pictures & was released 2018-03-22.